This Mercedes-Benz CLA Comes Equipped with These Options 2019 CLA 250 Coupe 4MATIC® $35,100 589 Jupiter Red 151 Black MB-Tex P01 Premium Package: $1,800 .....889 KEYLESS GO® .....873 Heated Front Seats .....871 HANDS-FREE ACCESS .....536 SIRIUS Satellite Radio .....234 Blind Spot Assist .....P17 Hands-Free Access control code 317 Convenience Package: $400 .....249 Driver's Side &Interior Auto-Dimming Mirrors .....232 Garage Door Opener 868 Smartphone Integration Package: $350 .....17U Android Auto .....16U Apple CarPlay .....14U Smartphone Integration H81 Sail-Pattern Trim R31 18 5-Spoke Wheels $500 059 factory code 413 Panorama Roof $1,500 51U Black Headliner 522 Audio 20 CD w/ Garmin Navigation Pre-Wiring 677 Comfort Suspension SUBTOTAL $39,650 DESTINATION &DELIVERY $995 TOTAL $40,645Stop By Today A short visit to Mercedes-Benz Porsche of Lehigh Valley located at 3401 Lehigh St, Allentown, PA 18103 can get you a tried-and-true CLA today! 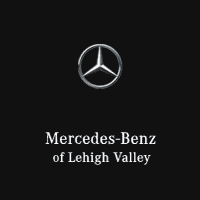 A short visit to Mercedes-Benz Porsche of Lehigh Valley located at 3401 Lehigh St, Allentown, PA 18103 can get you a tried-and-true CLA today! This Mercedes-Benz GLA Features the Following Options 2019 GLA 250 4MATIC® $35,950 589 Jupiter Red 111 Black MB-Tex P01 Premium Package: $1,800 .....889 KEYLESS GO® .....873 Heated Front Seats .....871 HANDS-FREE ACCESS .....536 SIRIUS Satellite Radio .....234 Blind Spot Assist .....P17 Control Code 317 Convenience Package: $400 .....249 Autodimming Mirrors .....232 Garage Door Opener 868 Smartphone Integration Package: $350 .....17U Android Auto .....16U Apple CarPlay .....14U Smartphone Integration H81 Sail-Pattern Trim R31 18 5-Twin-Spoke Wheels 059 factory code 245 Compass 413 Panorama Roof $1,500 51U Black Roof Liner 522 Radio-ICU Hi-Line SUBTOTAL $40,000 DESTINATION &DELIVERY $995 TOTAL $40,995Stop By Today For a must-own Mercedes-Benz GLA come see us at Mercedes-Benz Porsche of Lehigh Valley, 3401 Lehigh St, Allentown, PA 18103. Just minutes away! This Mercedes-Benz GLA Features the Following Options 2019 GLA 250 4MATIC® $35,950 696 Night Black 111 Black MB-Tex P01 Premium Package: $1,800 .....889 KEYLESS GO® .....873 Heated Front Seats .....871 HANDS-FREE ACCESS .....536 SIRIUS Satellite Radio .....234 Blind Spot Assist .....P17 Control Code 317 Convenience Package: $400 .....249 Autodimming Mirrors .....232 Garage Door Opener 868 Smartphone Integration Package: $350 .....17U Android Auto .....16U Apple CarPlay .....14U Smartphone Integration H81 Sail-Pattern Trim R31 18 5-Twin-Spoke Wheels 059 factory code 245 Compass 413 Panorama Roof $1,500 51U Black Roof Liner 522 Radio-ICU Hi-Line SUBTOTAL $40,000 DESTINATION &DELIVERY $995 TOTAL $40,995Stop By Today Test drive this must-see, must-drive, must-own beauty today at Mercedes-Benz Porsche of Lehigh Valley, 3401 Lehigh St, Allentown, PA 18103. This Mercedes-Benz GLA Features the Following Options 2019 GLA 250 4MATIC® $35,950 696 Night Black 111 Black MB-Tex P01 Premium Package: $1,800 .....889 KEYLESS GO® .....873 Heated Front Seats .....871 HANDS-FREE ACCESS .....536 SIRIUS Satellite Radio .....234 Blind Spot Assist ..... P17 Control Code 317 Convenience Package: $400 .....249 Autodimming Mirrors .....232 Garage Door Opener 868 Smartphone Integration Package: $350 .....17U Android Auto .....16U Apple CarPlay .....14U Smartphone Integration H81 Sail-Pattern Trim R31 18 5-Twin-Spoke Wheels 059 factory code 245 Compass 413 Panorama Roof $1,500 51U Black Roof Liner 522 Radio-ICU Hi-Line SUBTOTAL $40,000 DESTINATION &DELIVERY $995 TOTAL $40,995Stop By Today Test drive this must-see, must-drive, must-own beauty today at Mercedes-Benz Porsche of Lehigh Valley, 3401 Lehigh St, Allentown, PA 18103. This Mercedes-Benz CLA Comes Equipped with These Options 2019 CLA 250 COUPE 4MATIC® $35,100 696 Night Black 151 Black MB-Tex P01 Premium Package: $1,800 .....P17 Hands-Free Access control code .....234 Blind Spot Assist .....536 SIRIUS Satellite Radio .....871 HANDS-FREE ACCESS .....873 Heated Front Seats .....889 KEYLESS GO® 317 Convenience Package: $400 .....232 Garage Door Opener .....249 Driver's Side &Interior Auto-Dimming Mirrors 868 Smartphone Integration Package: $350 .....14U Smartphone Integration .....16U Apple CarPlay .....17U Android Auto H81 Sail-Pattern Trim R31 18 5-Spoke Wheels $500 068 Wheel Locking Bolts $150 104 Rear Deck Spoiler $300 413 Panorama Roof $1,500 51U Black Headliner 522 Audio 20 CD w/ Garmin Navigation Pre-Wiring 677 Comfort Suspension SUBTOTAL $40,100 DESTINATION &DELIVERY $995 TOTAL $41,095Stop By Today Stop by Mercedes-Benz Porsche of Lehigh Valley located at 3401 Lehigh St, Allentown, PA 18103 for a quick visit and a great vehicle! This Mercedes-Benz GLA Comes Equipped with These Options 2019 GLA 250 4MATIC® $35,950 149 Polar White 111 Black MB-Tex P01 Premium Package:$1,800 .....889 KEYLESS GO® .....873 Heated Front Seats .....871 HANDS-FREE ACCESS .....536 SIRIUS Satellite Radio .....234 Blind Spot Assist .....P17 Control Code 317 Convenience Package: $400 .....249 Autodimming Mirrors .....232 Garage Door Opener 868 Smartphone Integration Package: $350 .....17U Android Auto .....16U Apple CarPlay .....14U Smartphone Integration H81 Sail-Pattern Trim R31 18 5-Twin-Spoke Wheels 059 factory code 068 Wheel Locking Bolts $150 245 Compass 413 Panorama Roof $1,500 51U Black Roof Liner 522 Radio-ICU Hi-Line SUBTOTAL $40,150 DESTINATION &DELIVERY $995 TOTAL $41,145Visit Us Today For a must-own Mercedes-Benz GLA come see us at Mercedes-Benz Porsche of Lehigh Valley, 3401 Lehigh St, Allentown, PA 18103. Just minutes away! This Mercedes-Benz GLA Features the Following Options 2019 GLA 250 4MATIC® $35,950 149 Polar White 105 Sahara Beige MB-Tex P01 Premium Package: $1,800 ....889 KEYLESS GO® ....873 Heated Front Seats ....871 HANDS-FREE ACCESS ....536 SIRIUS Satellite Radio ....234 Blind Spot Assist ....P17 Control Code 317 Convenience Package: $400 ....249 Autodimming Mirrors ....232 Garage Door Opener 868 Smartphone Integration Package: $350 ....17U Android Auto ....16U Apple CarPlay ....14U Smartphone Integration H19 Satin Brown Poplar Wood Trim $325 R31 18 5-Twin-Spoke Wheels 059 factory code 068 Wheel Locking Bolts $150 245 Compass 413 Panorama Roof $1,500 522 Radio-ICU Hi-Line 55U Beige Roof Liner SUBTOTAL $40,475 DESTINATION &DELIVERY $995 TOTAL $41,470Stop By Today Come in for a quick visit at Mercedes-Benz Porsche of Lehigh Valley, 3401 Lehigh St, Allentown, PA 18103 to claim your Mercedes-Benz GLA! This Mercedes-Benz GLA Features the Following Options 2019 GLA 250 4MATIC® $35,950 667 Denim Blue Metallic $720 105 Sahara Beige MB-Tex P01 Premium Package: $1,800 .....889 KEYLESS GO® .....873 Heated Front Seats .....871 HANDS-FREE ACCESS .....536 SIRIUS Satellite Radio .....234 Blind Spot Assist .....P17 Control Code 317 Convenience Package: $400 .....249 Autodimming Mirrors .....232 Garage Door Opener 868 Smartphone Integration Package:$350 .....17U Android Auto .....16U Apple CarPlay .....14U Smartphone Integration H19 Satin Brown Poplar Wood Trim $325 R31 18 5-Twin-Spoke Wheels 059 factory code 245 Compass 413 Panorama Roof $1,500 522 Radio-ICU Hi-Line 55U Beige Roof Liner SUBTOTAL $41,045 DESTINATION &DELIVERY $995 TOTAL $42,040Stop By Today Live a little- stop by Mercedes-Benz Porsche of Lehigh Valley located at 3401 Lehigh St, Allentown, PA 18103 to make this car yours today! This Mercedes-Benz GLA Features the Following Options 2019 GLA 250 4MATIC® $35,950 149 Polar White 111 Black MB-Tex Options P01 Premium Package: $1,800 ....889 KEYLESS GO® ....873 Heated Front Seats ....871 HANDS-FREE ACCESS ....536 SIRIUS Satellite Radio ....234 Blind Spot Assist ....P17 Control Code 317 Convenience Package: $400 ....249 Autodimming Mirrors ....232 Garage Door Opener 868 Smartphone Integration Package: $350 ....17U Android Auto ....16U Apple CarPlay ....14U Smartphone Integration H81 Sail-Pattern Trim R31 18 5-Twin-Spoke Wheels 00A Illuminated Star $450 059 factory code 245 Compass 413 Panorama Roof $1,500 51U Black Roof Liner 522 Radio-ICU Hi-Line 632 Static LED Headlamps $850 810 harman/kardon® Logic 7®(R) Surround Sound System $850 SUBTOTAL $42,150 DESTINATION &DELIVERY $995 TOTAL $43,145Stop By Today You've earned this- stop by Mercedes-Benz Porsche of Lehigh Valley located at 3401 Lehigh St, Allentown, PA 18103 to make this car yours today! This Mercedes-Benz CLA Features the Following Options 2019 CLA 250 Coupe 4MATIC® $35,100 696 Night Black 151 Black MB-Tex P01 Premium Package: $1,800 .....P17 Hands-Free Access control code .....234 Blind Spot Assist .....536 SIRIUS Satellite Radio .....871 HANDS-FREE ACCESS .....873 Heated Front Seats .....889 KEYLESS GO® 317 Convenience Package: $400 .....232 Garage Door Opener .....249 Driver's Side &Interior Auto-Dimming Mirrors 868 Smartphone Integration Package: $350 .....14U Smartphone Integration .....16U Apple CarPlay .....17U Android Auto H81 Sail-Pattern Trim PZZ Steering Code 104 Rear Deck Spoiler $300 413 Panorama Roof $1,500 51R 18 Multi-Spoke Wheels $500 51U Black Headliner 522 Audio 20 CD w/ Garmin Navigation Pre-Wiring 632 Static LED Headlamps $850 677 Comfort Suspension 810 harman/kardon® Logic 7®(R) Sound System $850 SUBTOTAL $41,650 DESTINATION &DELIVERY $995 TOTAL $42,645Visit Us Today For a must-own Mercedes-Benz CLA come see us at Mercedes-Benz Porsche of Lehigh Valley, 3401 Lehigh St, Allentown, PA 18103. Just minutes away! This Mercedes-Benz CLA Comes Equipped with These Options 2019 CLA 250 Coupe 4MATIC® $35,100 149 Polar White 151 Black MB-Tex P01 Premium Package: $1,800 .....P17 Hands-Free Access control code .....234 Blind Spot Assist .....536 SIRIUS Satellite Radio .....871 HANDS-FREE ACCESS .....873 Heated Front Seats .....889 KEYLESS GO® 317 Convenience Package: $400 .....232 Garage Door Opener .....249 Driver's Side &Interior Auto-Dimming Mirrors 868 Smartphone Integration Package: $350 .....14U Smartphone Integration .....16U Apple CarPlay .....17U Android Auto H81 Sail-Pattern Trim 104 Rear Deck Spoiler $300 413 Panorama Roof $1,500 51R 18 Multi-Spoke Wheels $500 51U Black Headliner 522 Audio 20 CD w/ Garmin Navigation Pre-Wiring 632 Static LED Headlamps $850 677 Comfort Suspension 810 harman/kardon® Logic 7®(R) Sound System $850 SUBTOTAL $41,650 DESTINATION &DELIVERY $995 TOTAL $42,645Visit Us Today Stop by Mercedes-Benz Porsche of Lehigh Valley located at 3401 Lehigh St, Allentown, PA 18103 for a quick visit and a great vehicle! This Mercedes-Benz GLA Comes Equipped with These Options 2019 GLA 250 4MATIC® $35,950 696 Night Black 111 Black MB-Tex Options P01 Premium Package: $1,800 .....P17 Control Code .....234 Blind Spot Assist .....536 SIRIUS Satellite Radio .....871 HANDS-FREE ACCESS .....873 Heated Front Seats .....889 KEYLESS GO® 317 Convenience Package: $400 .....232 Garage Door Opener .....249 Autodimming Mirrors 868 Smartphone Integration Package: $350 .....14U Smartphone Integration .....16U Apple CarPlay .....17U Android Auto H81 Sail-Pattern Trim R31 18 5-Spoke Wheels 00A Illuminated Star $450 245 Compass 413 Panorama Roof $1,500 51U Black Roof Liner 522 Radio-ICU Hi-Line 632 Static LED Headlamps $850 810 harman/kardon® Logic 7®(R) Surround Sound System $850 SUBTOTAL $42,150 DESTINATION &DELIVERY $995 TOTAL $43,145 Visit Us Today Come in for a quick visit at Mercedes-Benz Porsche of Lehigh Valley, 3401 Lehigh St, Allentown, PA 18103 to claim your Mercedes-Benz GLA! This Mercedes-Benz GLA Features the Following Options 2019 GLA 250 4MATIC® $35,950 696 Night Black 111 Black MB-Tex P01 Premium Package: $1,800 .....889 KEYLESS GO® .....873 Heated Front Seats .....871 HANDS-FREE ACCESS .....536 SIRIUS Satellite Radio .....234 Blind Spot Assist .....P17 Control Code 317 Convenience Package: $400 .....249 Autodimming Mirrors .....232 Garage Door Opener 868 Smartphone Integration Package: $350 .....17U Android Auto .....16U Apple CarPlay .....14U Smartphone Integration H81 Sail-Pattern Trim R31 18 5-Twin-Spoke Wheels 00A Illuminated Star $450 059 factory code 245 Compass 413 Panorama Roof $1,500 51U Black Roof Liner 522 Radio-ICU Hi-Line 632 Static LED Headlamps $850 810 harman/kardon® Logic 7®(R) Surround Sound System $850 SUBTOTAL $42,150 DESTINATION &DELIVERY $995 TOTAL $43,145Visit Us Today A short visit to Mercedes-Benz Porsche of Lehigh Valley located at 3401 Lehigh St, Allentown, PA 18103 can get you a trustworthy GLA today! This Mercedes-Benz GLA Comes Equipped with These Options 2019 GLA 250 4MATIC® $35,950 696 Night Black 111 Black MB-Tex P01 Premium Package: $1,800 .....889 KEYLESS GO® .....873 Heated Front Seats .....871 HANDS-FREE ACCESS .....536 SIRIUS Satellite Radio .....234 Blind Spot Assist .....P17 Control Code 317 Convenience Package: $400 .....249 Autodimming Mirrors .....232 Garage Door Opener 868 Smartphone Integration Package: $350 .....17U Android Auto .....16U Apple CarPlay .....14U Smartphone Integration H81 Sail-Pattern Trim R31 18 5-Twin-Spoke Wheels 00A Illuminated Star $450 059 factory code 245 Compass 413 Panorama Roof $1,500 51U Black Roof Liner 522 Radio-ICU Hi-Line 632 Static LED Headlamps $850 810 harman/kardon® Logic 7®(R) Surround Sound System $850 SUBTOTAL $42,150 DESTINATION &DELIVERY $995 TOTAL $43,145Visit Us Today Come in for a quick visit at Mercedes-Benz Porsche of Lehigh Valley, 3401 Lehigh St, Allentown, PA 18103 to claim your Mercedes-Benz GLA! This Mercedes-Benz GLA Comes Equipped with These Options 2019 GLA 250 4MATIC® $35,950 696 Night Black 111 Black MB-Tex P01 Premium Package: $1,800 .....889 KEYLESS GO® .....873 Heated Front Seats .....871 HANDS-FREE ACCESS .....536 SIRIUS Satellite Radio .....234 Blind Spot Assist .....P17 Control Code 317 Convenience Package: $400 .....249 Autodimming Mirrors .....232 Garage Door Opener 868 Smartphone Integration Package: $350 .....17U Android Auto .....16U Apple CarPlay .....14U Smartphone Integration H81 Sail-Pattern Trim R31 18 5-Twin-Spoke Wheels 00A Illuminated Star $450 059 factory code 245 Compass 413 Panorama Roof $1,500 51U Black Roof Liner 522 Radio-ICU Hi-Line 632 Static LED Headlamps $850 810 harman/kardon® Logic 7®(R) Surround Sound System $850 SUBTOTAL $42,150 DESTINATION &DELIVERY $995 TOTAL $43,145Stop By Today Test drive this must-see, must-drive, must-own beauty today at Mercedes-Benz Porsche of Lehigh Valley, 3401 Lehigh St, Allentown, PA 18103. This Mercedes-Benz GLA Comes Equipped with These Options 2019 GLA 250W4 $35,950 696 Night Black 111 Black MB-Tex P01 Premium Package: $1,800 .....889 KEYLESS GO® .....873 Heated Front Seats .....871 HANDS-FREE ACCESS .....536 SIRIUS Satellite Radio .....234 Blind Spot Assist .....P17 Control Code 317 Convenience Package: $400 .....249 Autodimming Mirrors .....232 Garage Door Opener 868 Smartphone Integration Package: $350 .....17U Android Auto .....16U Apple CarPlay .....14U Smartphone Integration H81 Sail-Pattern Trim R31 18 5-Twin-Spoke Wheels 00A Illuminated Star $450 059 factory code 245 Compass 413 Panorama Roof $1,500 51U Black Roof Liner 522 Radio-ICU Hi-Line 632 Static LED Headlamps $850 810 harman/kardon® Logic 7®(R) Surround Sound System $850 SUBTOTAL $42,150 DESTINATION &DELIVERY $995 TOTAL $43,145Visit Us Today Come in for a quick visit at Mercedes-Benz Porsche of Lehigh Valley, 3401 Lehigh St, Allentown, PA 18103 to claim your Mercedes-Benz GLA! This Mercedes-Benz GLA Comes Equipped with These Options 2019 GLA 250 4MATIC® $35,950 149 Polar White 111 Black MB-Tex P01 Premium Package: $1,800 ....889 KEYLESS GO® ....873 Heated Front Seats ....871 HANDS-FREE ACCESS ....536 SIRIUS Satellite Radio ....234 Blind Spot Assist ....P17 Control Code 317 Convenience Package: $400 ....249 Autodimming Mirrors ....232 Garage Door Opener 868 Smartphone Integration Package: $350 ....17U Android Auto ....16U Apple CarPlay ....14U Smartphone Integration H81 Sail-Pattern Trim R31 18 5-Twin-Spoke Wheels 00A Illuminated Star $450 059 factory code 245 Compass 413 Panorama Roof $1,500 51U Black Roof Liner 522 Radio-ICU Hi-Line 632 Static LED Headlamps $850 810 harman/kardon® Logic 7®(R) Surround Sound System $850 SUBTOTAL $42,150 DESTINATION &DELIVERY $995 TOTAL $43,145Visit Us Today For a must-own Mercedes-Benz GLA come see us at Mercedes-Benz Porsche of Lehigh Valley, 3401 Lehigh St, Allentown, PA 18103. Just minutes away!